What a brilliant week! From Tec 40 – Tec 50, starting off with building a foundation and entry into Tec from the Tec 40 course all the way up to the more advanced Tec 50. With an early start on Monday morning it was a week at Vobster Quay. The classic British weather stopped us from using the sea so a bit of quarry loving it was. The first 2 days would be the Tec 40 with Tec Rec Instructor Trainer Clive Albon and the use of a single stage with up to a 50% deco gas. 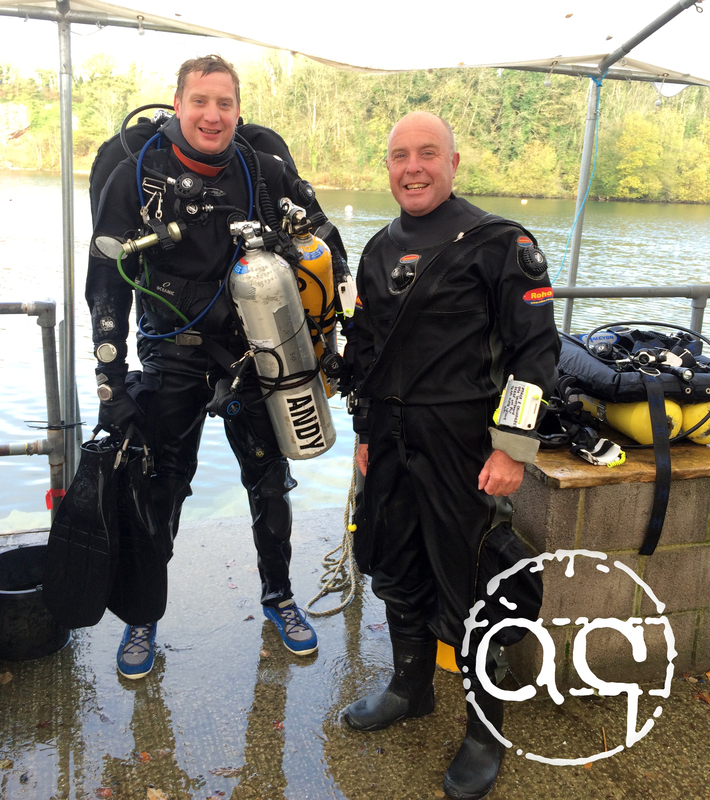 We started off the first dives in the shallows in the lovely warm water on the surface. We later discovered below 18m temperatures dropped right down to as low as 6 degrees but visibility greatly increased. After 2 days of getting used to the stage bottle Tec 40 was complete and onto Tec 45 it was. This time the course allows the use of one stage with a deco gas of up to 100%. The skills stepped up and so did the gas switches. Making planned decompression dives to the bottom of Vobster Quay wasn’t the most pleasant in the sludge and mud but we got on with it and completed the required dives. After the days diving we would go back and do theory, dive planning, gas planning and of course the PADI exams! Successfully passing these after day 4 meant we were now qualified Tec 45 divers. It was time to move on from the one stage and start juggling with 2 stages, how the skills got more exciting! Tec 50 is up to 2 deco gasses with 100% O2. This made skills much more challenging, gas switching and more accelerated deco. The last 2 dives of the course were dive planning and making sure we could stick to the profile with correct switches at the correct depths. After dive 3 we were finished at Vobster and raced down the road to NDAC in Chepstow to complete our final dive of the course. Although NDAC’s minibus system was a pain, the temperature was much warmer and the visibility was amazing here! We were sat at our 6m stop and could see the double decker bus 20m below us, it was lovely and definitely made the deco more interesting! A brilliant course, very much recommended and a big thank you to Clive Albon!